More than 59,000 migrants have arrived to Spain illegally by land and sea in the first 11 months of 2018, representing an increase of 130 percent over the nearly 26,000 during 2017 and more even than the total of 56,636 who arrived illegally to Spain in the previous three years combined, according to Spanish Interior Ministry figures just released. While many of the migrants reached Spanish territory by land and sea at Spain’s North African enclave cities of Melilla and Ceuta, most illegal arrivals during 2018 are part of the sharp surge in those relying on help from migrant trafficking rings to attempt the dangerous maritime crossings to Spanish shores via the Mediterranean Sea and Atlantic Ocean. Spanish news headlines have focused on the near-daily arrival of migrants in flimsy rubber rafts at various points along the lengthy coastline of Spain’s southernmost region of Andalucía. 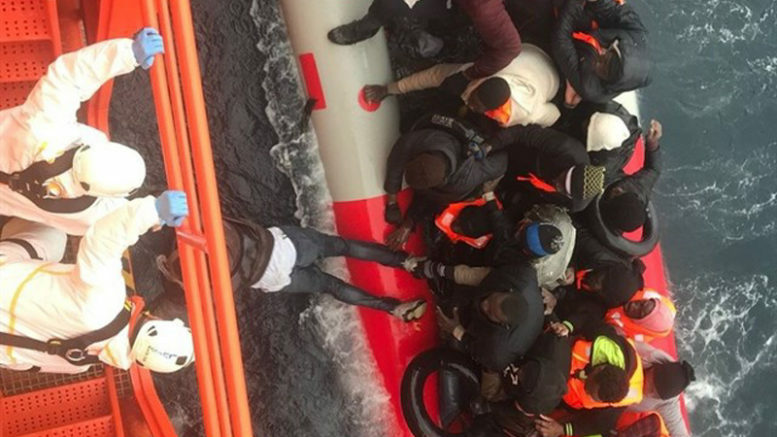 But, a growing number are also crossing from Morocco via the Atlantic to reach the Canary Islands and there has even been an increase in migrants arriving by boat as far north in the Mediterranean as the Balearic Islands — both of Spain’s offshore island groups have seen a tripling of illegal arrivals in 2018 over the previous year. Spain’s government has called on the European Union to step up funding to help the country cope with the influx of migrants seeking to reach Europe via Spanish territory. At the same time, the government has announced a joint pilot program with the office of the UN High Commission on Refugees aimed at convincing civil society, the private sector and the governments of Spain’s regional autonomous communities to help relieve migration pressures on Andalucía by relocating and providing assistance to those migrants who seek and are granted asylum status by Spain.